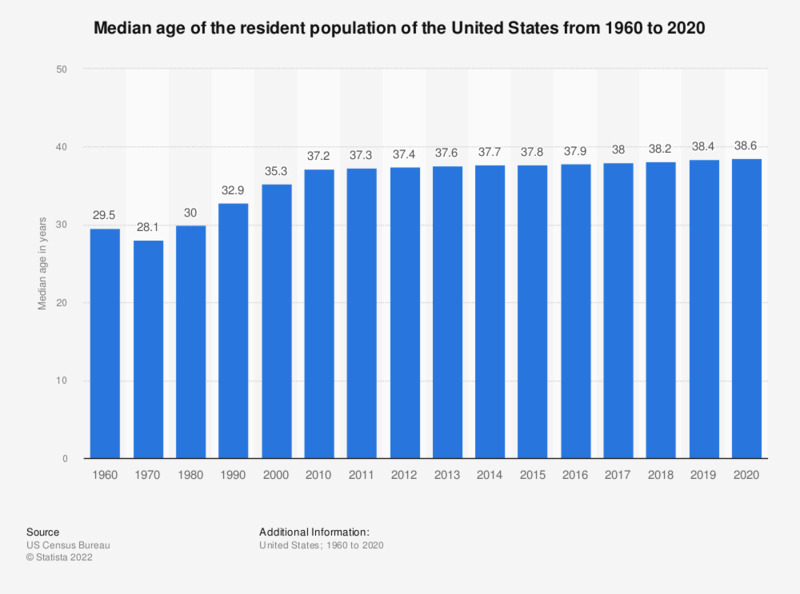 In 2017, the median age of the population of the United States was 38 years. While this may seem quite young, the median age in 1960 was even younger, at 29.5 years. The year 2035 is expected to be a turning point for the population of the United States. This is the year that demographers expect there to be more adults over the age of 65 than children. Additionally, in the year 2060, there are expected to be about 604,000 people aged 100 and over in the U.S. This figure was around 72,000 in 2015. The aging population in the United States means that society is going to have to find a way to adapt to the larger numbers of older people. Everything from Social Security to employment to the age of retirement will have to change if the population is expected to age more while having fewer children. It’s not only the United States that is facing this particular demographic dilemma. In 1950, the global median age was 23.6 years. This number is projected to increase to 41.6 years by the year 2100. This means that not only the U.S., but the rest of the world will also have to find ways to adapt to the aging population. Data for previous years can be found in this publication.